We take pride in our work. This is why we go beyond industry standards when installing your equipment. It’s the extra steps we take that will keep systems running efficiently and safely for years to come, with the proper maintenance of course. Our technicians are background checked, drug free, factory trained and NATE certified. Feel free to check them out on the Z-Team page. They will typically arrive between 7:30 and 8 to get the job started. Drop clothes and shoe covers will be used to protect your home as the old equipment is removed and disposed of and the new equipment is installed. If our installation is being done during extreme temperatures, we will provide temporary air conditioning units or heaters until your new system is operational. Once an installation is complete one of our team leaders will perform a 21-point system check and go over the system with the home owner. We back all of our work with a minimum 1 year labor warranty, most of the HVAC systems that we install come with a standard 2 year labor warranty and up to a 10 or 12 year labor warranty! How long can an installation take? A best-case scenario for an installation may take a day, while more extensive work can take much longer depending on what the job calls for. Just like houses, none of the systems we install are the same; they are customized to suit the needs of the home. We may not be the fastest installers for a job, and that’s because there’s an easy way and a right way to do things. 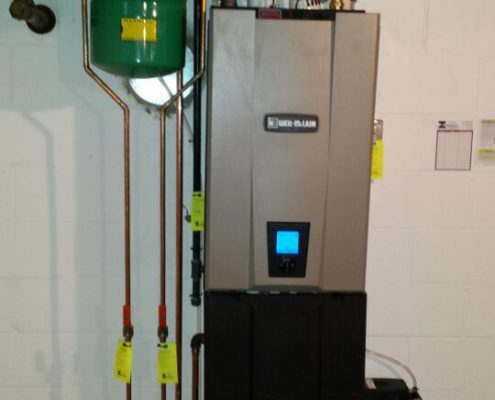 What do you need to do to prepare for an installation? We ask that a clear path is made in the home for easier maneuverability for tools and equipment. Also, as much space around the indoor unit as possible, ideally a 4’ radius. Exterior, we again ask for a clear path and space to work. We do our best to work around foliage to prevent any unnecessary trimming. Otherwise, clean and sanitary workspaces are a must. 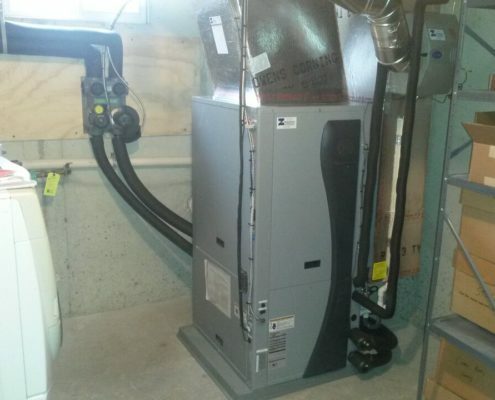 If you need a ductless heat pump installation, we can help. 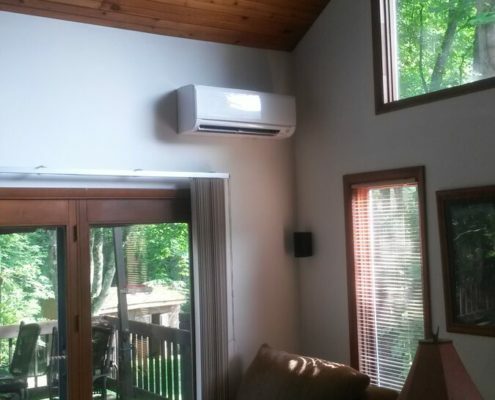 Ductless heat pump systems, or mini-splits, are advantageous in that they are small and flexible and can be used to heat one room, multiple individual rooms, or the whole house. If you’ve been looking for an AC installation or heating installation contractor in Harrisburg or Mechanicsburg, look no further. Our certified technicians are the AC installation specialists, with HVAC technicians trained not only on basic home air conditioning installation but on installing multiple heating and cooling systems, including geothermal systems, standard heat pumps, oil systems and more. While you’re at it, you can check the search for a backup generator installation contractor off your list. 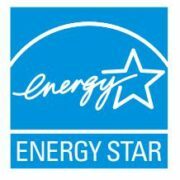 Let us give you a free estimate on a new standby generator. Weather extremes are becoming more and more common in Central PA, so a whole-home backup generator is the sensible choice to protect you and your family. Automatic backup means if the power goes down, your generator immediately fires up, making sure your lights, appliances and other electricity-powered systems keep working when disaster strikes. 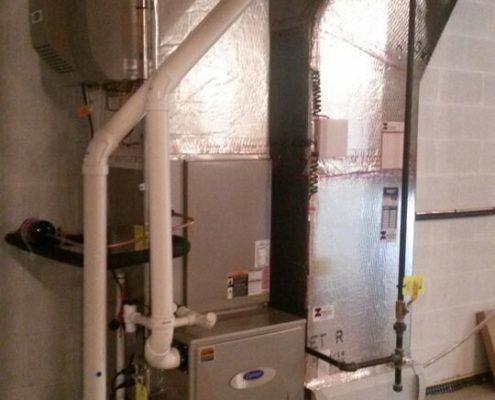 Is dry air a problem in your home? Air that’s too dry can give rise to a whole host of health problems, including colds and flu, and can even damage your home and increase your energy costs. We can install a whole-home humidifier system in your house to combat dry air and make sure your home has the proper level of humidity. It can affect your health, too, allowing toxic mold and mildew to grow and increasing the level of lung-irritating dust in your home. We can come to the rescue here, too, with a whole-home dehumidifier installation that will keep excess humidity down. Remember, all of these installations come with the confidence of having highly experienced, highly trained technicians do the work. Our technicians know the job is not done until you’re satisfied and fully comfortable with the finished product. We work with the finest parts and equipment, and a warranty that tells you your new system is going to last and last, being there when you need it the most. And, of course, we are more than happy and able to perform regularly scheduled maintenance, just to keep things running at top condition at all times. Call or email us today using the contact information below for a free estimate on any Zimmerman Plumbing, Heating & Air Conditioning installs.